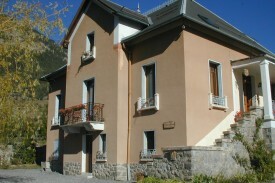 Heidi,Kristof, Alessie and Mauro welcome you with pleasure in the superb Mexican villa in Jausiers (1200 m), a lovely village surrounded by the Alps Maritim in the Valley of the Ubaye. Only 5 minutes driving from the touristic charming city of Barcelonnette and 15 minutes driving to the 3 ski stations Pra Loup, Sauze Super Sauze and St-Anne. At the beginning of the highest road throughout the Alps, you’ll find a paradise for parapente, rafting, cycling and horseriding. For those who prefer a more relaxing holiday, only 100 meters away, you find ‚parc de loisirs de Siguret’. You can hire a pedal boat or take a dive in the refreshing water (with lifeguard station). Moreover, you find a lot of activities organised for children. As well in summer as in winter, our valley offers you a high range of activities to spice your stay with us. In spring and autumn you can discover the impressive nature of this region during the countless hikes. Double bed, sitting corner with sofa bed, bathroom with shower and toilet. Our suite which can be transformed to a family room. The room is divided in two parts by the bathroom which is in the middle of the room. At one side there is a double bed and at the other side you can find the sitting room with the sofa bed. This is a charming room with a Mexican style. 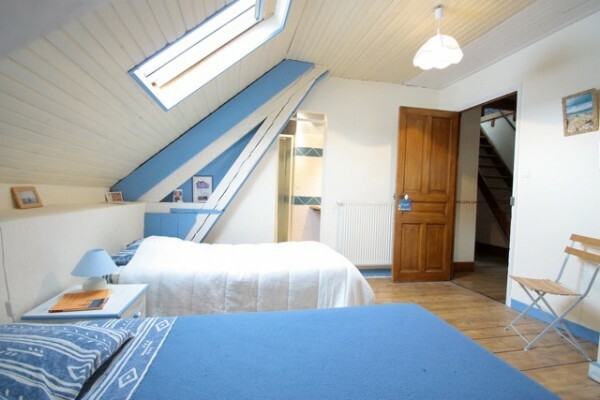 Double bed, trundle bed, bathroom with shower and toilet. Large family room in the regional style. 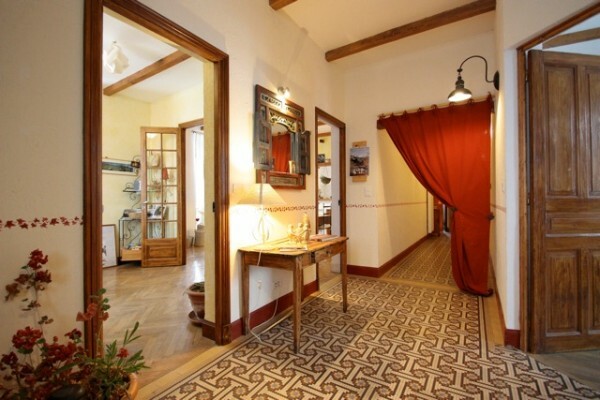 This room offers a wonderful view on the village of Jausiers, which is situated at circa ten kilometres from Pra Loup, a glamorous ski station which exist 50 years. Double bed, bathroom with shower and toilet. ‘La vie en rose’ , ‘Life in pink’ sang Edith Piaf, well, this is how one feels when you are in this room. Our pink room will offer you a stay full of romanticism. Two single beds, bathroom with shower and toilet. In this room you can find total relaxation. The room reminds us at our life in Crete and at the Belgian coast. Double bed, single bed, bath room with bath and toilet. Our highest room under the roof on the second floor, is named after highest paved through route of Europe, Cime de la Bonette, which you can start climbing from Jausiers. Did you stay in La Mexicaine? Let us know what you thought about it and help others to make the right choice! * I confirm having stayed in La Mexicaine. 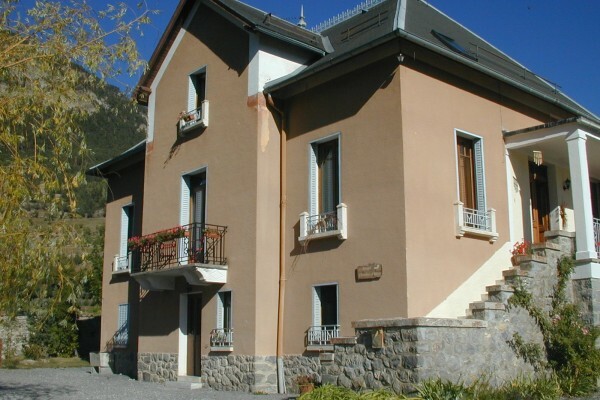 Find other bed & breakfasts in Jausiers, all bed & breakfasts in Alpes-de-Haute-Provence or all bed & breakfasts in Provence-Alpes-Cote d'Azur.